Jennifer McGuire posted a video on how to make this card. I love watching her videos and she always makes it seem so easy but I have history of fails. For a change, the results from watching this video, actually worked! Great card! I love Jennifer Mcguire videos too, but she always makes everything look so easy!! You've done a stunning job with this!! I saw the video too and it's a perfect replication of it!! ;) So fun!! I'm going to have to go watch that video again. Cute card and love the flames! Celebrate!!! Fantastic card! I think I need to watch that video! I was just oohing over the candle flames and now have to go watch the video - thanks for sharing! 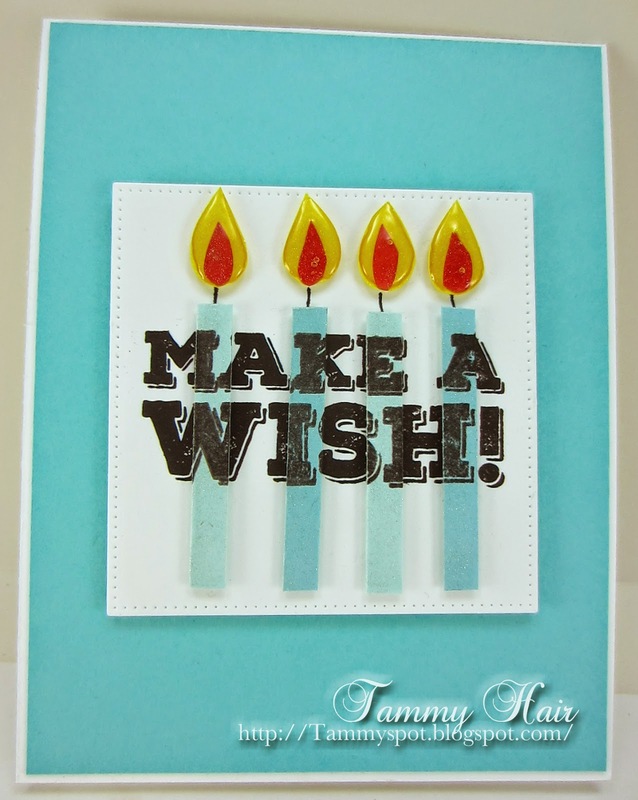 Awesome work of stamping your sentiment on the card and the candles, Tammy! What a sensational birthday design!! That is very cool, Tammy! Makes an awesome birthday card! This looks fabulous. Love how the flames are so dimensional and shiny.